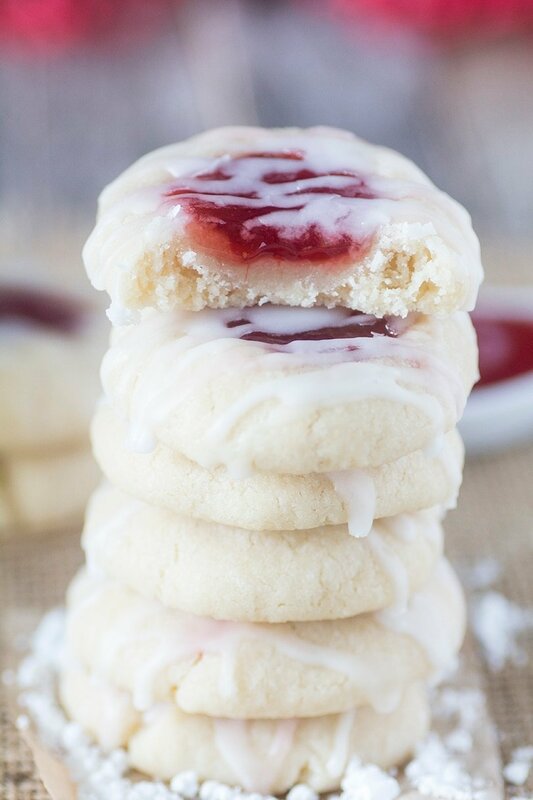 Buttery vanilla and almond flavored shortbread cookies with strawberry jam and drizzled with icing. These cookies will melt in your mouth. You may find yourself eating cookie after cookie. Shortbread thumbprint cookies are one of my favorite holiday cookies. It just so happens to be very popular this time of year as well. 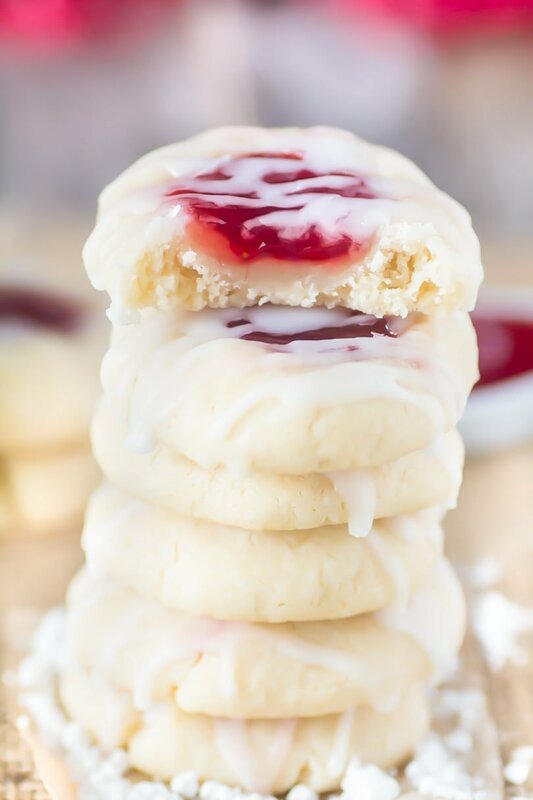 If you’re looking to entertain guests, family, special holiday events or gift cookies, everyone will love shortbread cookies filled with jam. Shortbread cookie dough is a lot of fun to work with. This dough can be make for these cookies are it can be rolled out and made into cookie cutter shapes for the holidays. 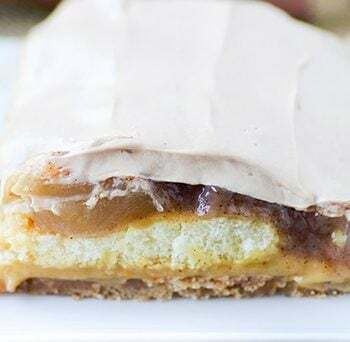 Fill the thumbprint centers with your favorite sweet jam, chocolate or caramel sauce. Tis’ the season when the most delicious baking happens. Good food makes for great table conversation and happy bellies. Serve this classic shortbread recipe at any holiday party or cookie exchange. To bake the perfect cookie every time, I use Heirloom Cookie Sheets. 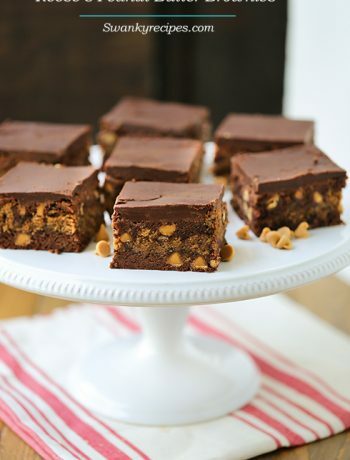 If you’re a cookie fanatic, you will love baking this recipe. Get the family, kids and friends together on a snowy day and have fun baking batches of this dough and signing Christmas music together. 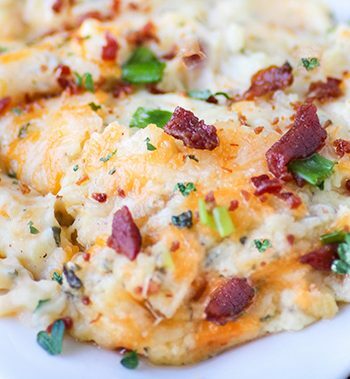 This recipe uses simple ingredients found in most kitchens. Every good shortbread cookie starts with butter, sugar and flour. No eggs are needed. No baking powder or soda. Keep it simple. Beat it together in bowl and add some baking extract to flavor the dough and it’s done. It’s important to chill shortbread dough before baking. Pop it in the refrigerator for a few hours or over night. It can also be stored in the freezer for up to 2 months. Now, the fun part. Scoop the dough and roll it between the hand until nice and smooth. Place on baking sheet and make a thumbprint indentation in the dough. Fill it with your favorite flavored jams. Bake in the oven for 13 minutes and allow them to cool. Make these classic cookies gourmet and dip the rims in chopped nuts before filling the center with jam. In a large bowl fit with a mixer, beat butter on high speed until light and fluffy, about a minute or two. Add sugar, and vanilla/almond extract and beat on medium speed. Slowly, add flour (1/2 cup at a time) and continue to beat on low until Soft dough forms. Compact dough and cover it with plastic wrap for at least 2-4 hours; dough should be firm when working with. I refrigerated my dough over night. Preheat oven to 350 degrees F. Line a cookie sheet with parchment paper. Scoop 1 inch balls of dough and roll them until they are smooth. Place on cookie sheet and press thumb into dough on each ball. Dough may crack, simply smooth over with finger. 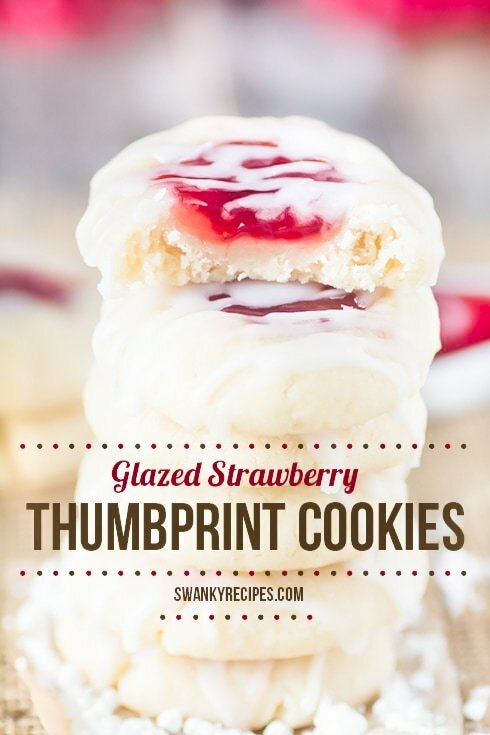 Fill each thumbprint center will jam and bake for 13-14 minutes. Do not over bake, cookies will harden but will be soft. Place dough refrigerator after each use. Allow cookies to cool before placing on a wire rack. Allow cookie sheet to completely cool before using again or cookie dough may spread. To make the glaze, combine powdered sugar, water and flavored extract into a medium bowl and stir to combine. Using a spoon, drizzle glaze over cookies once cool. Cookie dough can be stored in freezer for up to 2 months. Baked cookies can be stored for 2-3 months covered, in freezer. These cookies are so irresistible! I wish I had a few right now! Thanks for linking up with What’s Cookin’ Wednesday! These look delicious. Thanks for sharing at Saturday Sparks. You have been featured today. Hello! So I made this dough yesterday and put it in the fridge overnight. Now, it’s hard as a rock ? Please help! Hollie, the dough will be hard. Just leave it out a little until it becomes manageable to scoop out. If after refrigeration, just let it sit on the counter top for 20 minutes. The dough should soften more when rolled between your hands. Hope that helps. Lucky, wish I had some right now, yum! I made these for Christmas and I used raspberry jam instead. Also, dusted with powder sugar for a different lo instead of a glaze. They are not very sweet and a nice buttery cookie. Hi, how do you store these cookies once made? Can they sit out in an airtight container for a few days or should they be refridgerated? I tried these cookies and they tasted great but… when I cooked it the allotted time the cookies do not look like your picture. The cookies bake flat, why is that? Hi Penny, was the dough chilled for 2-4 hours before baking? It’s important that the butter is cold when baking. Yes, the dough was chilled overnight. I even chilled it some more after putting the jam on top. Either way my three years old loves them. Will continue to use the recipe and hope each time that the shape will improve. Thank you for the recipe. Jessica, my dough was cold to but the cookies still spread…any ideas and should the butter be unsalted just wondering…Your cookies look fluffy compared to mine. try popping them in the freezer for 20 minutes after placing them on a cookie sheet.